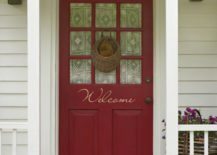 The entryway is the first thing we see before stepping into a house. 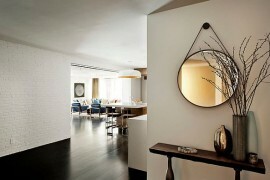 It should feel welcoming and inviting, drawing us in with the promise of an exceptional interior. 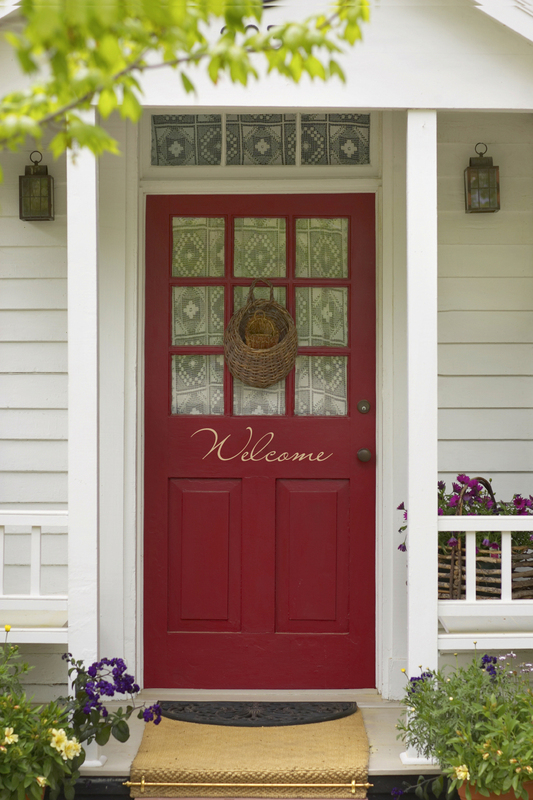 A good entryway can build up the curiosity and reflect the home’s decor philosophy in its exterior. 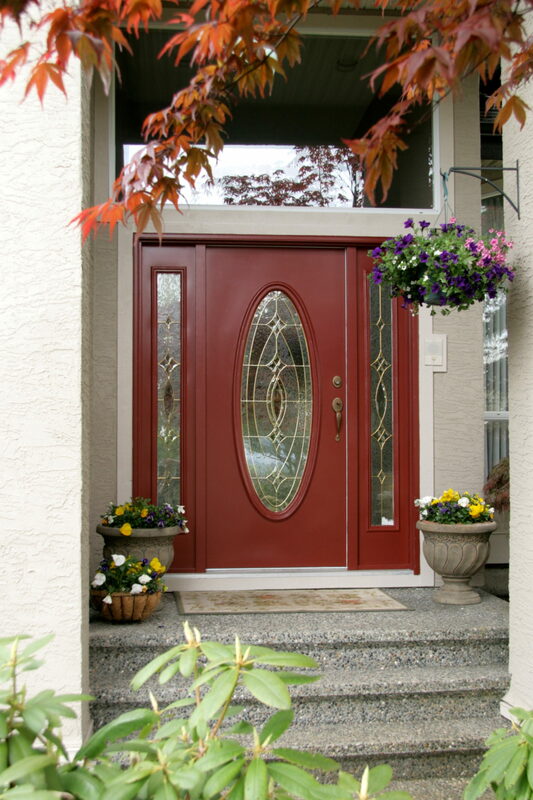 The door is the centerpiece of an entryway, its design and choice of color strongly defining the entire house. 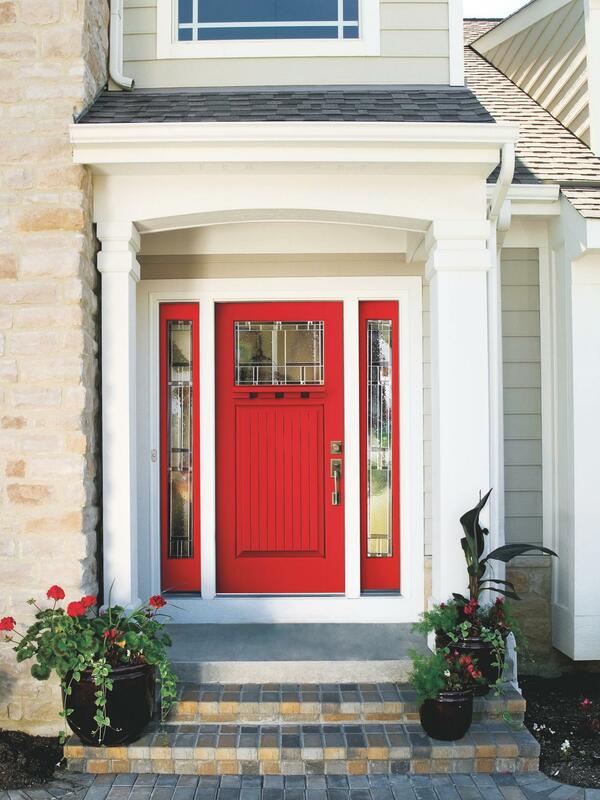 A red front door creates a charming entryway with a very bold look that doesn’t leave anyone cold. It’s noticeable and intriguing, memorable and compelling. 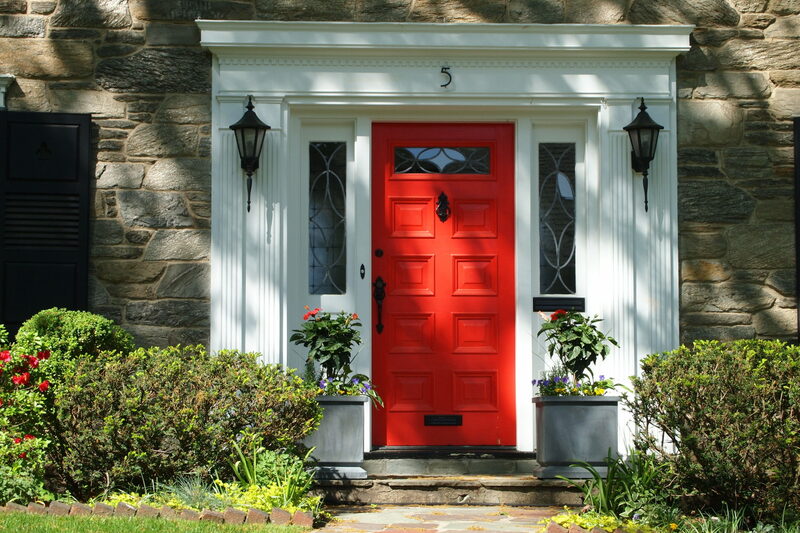 Take a look at these incredible red front doors to fully feel their charm! 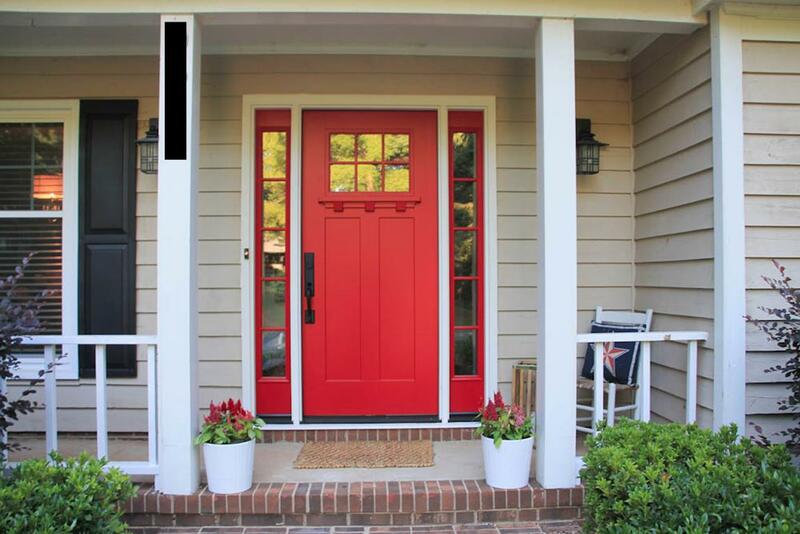 This red entryway claims a lot of space with its width and bold red color. It positions itself as a modern piece against an industrial background found in the bare brick, bringing together the best of the past and future style trends. The red door has such a charming quality it almost feels like something out of a fairytale. 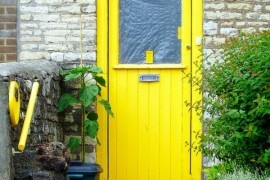 It has a familiar and welcoming appeal, the vibrant color instantly capturing our attention and calling us to itself. Red is definitely the color that benefits from being paired with other hues. Warm, cold or neutral, the red is able to mix with them all. 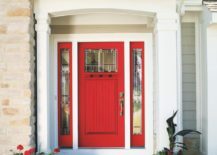 This is especially useful when decorating the entryway, as we can count on the bold red door to be able to mix with everything – from bright florals to the monochrome door frame. 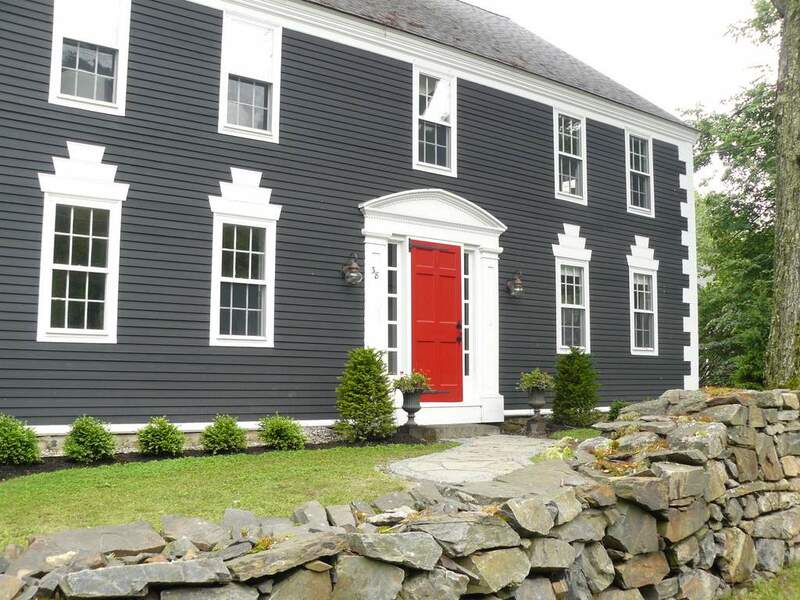 It’s amazing how the red door livens up this big gray house! 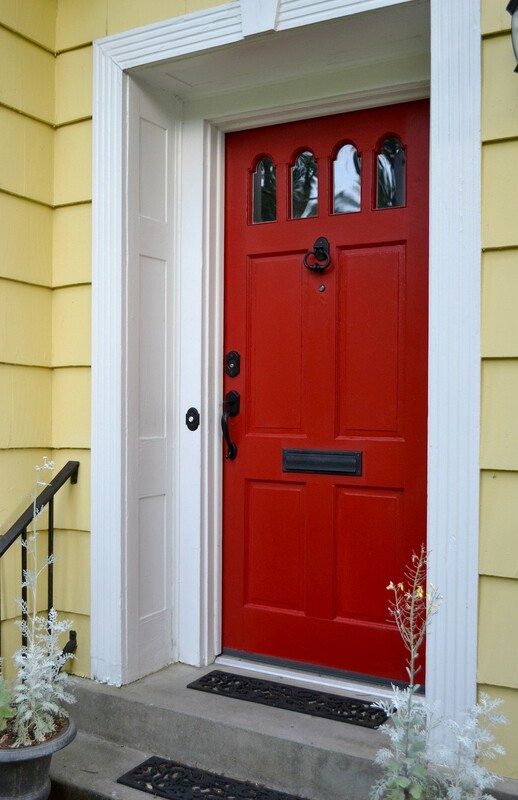 Without it, the whole building could feel a bit too grim but the red door is a firm focal point right in the center of the house, infusing it with a lively spirit! 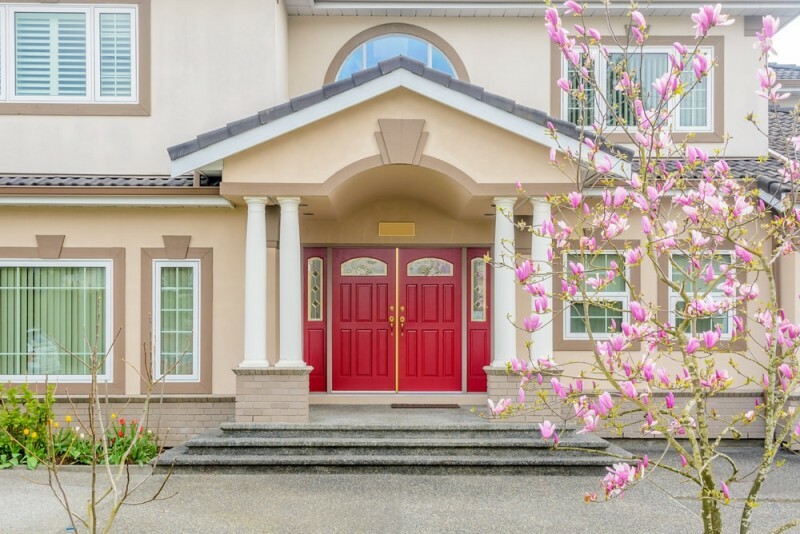 The power of the red door is clearly shown in these stunning double front doors that bring a much needed dynamic to the beige building and together create a perfectly balanced exterior. 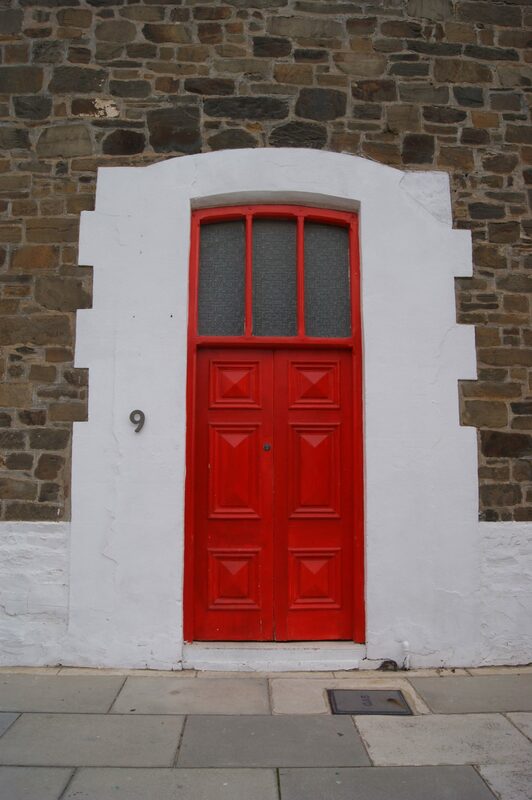 Since the red door is already such a magnificent piece in and of itself it doesn’t really need much additional decoration to be deemed flawless. 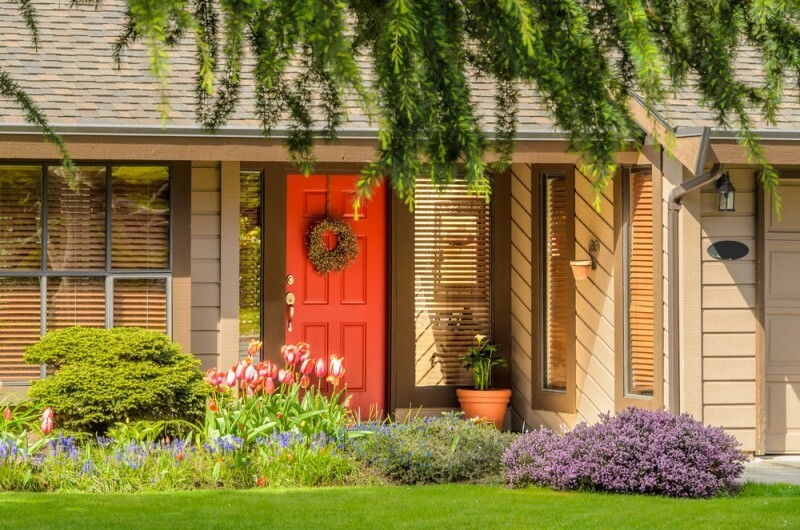 A simple wreath that matches the surrounding greenery is more than enough! 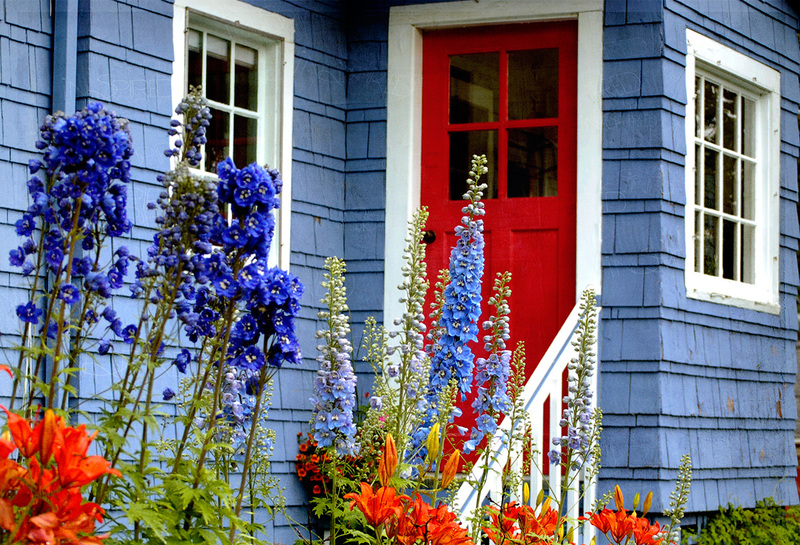 The combination of blue and red feels like it was always meant to be. 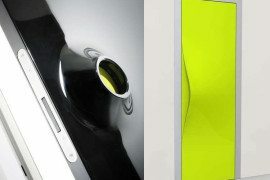 The way the two colors complement each other is really marvelous. 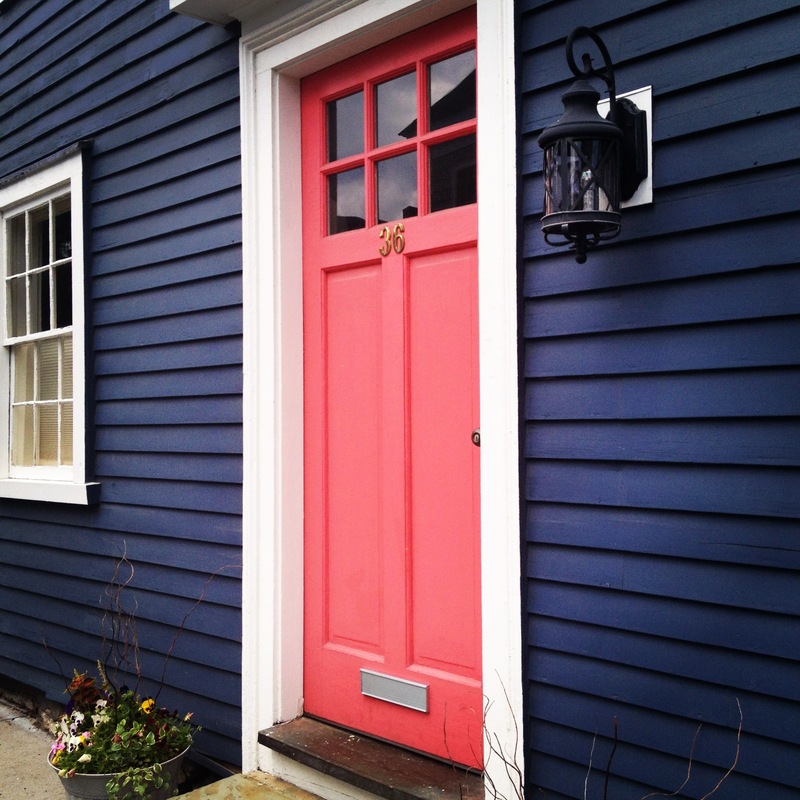 It’s obvious that the red door is a great choice for a house with a lovely blue exterior. 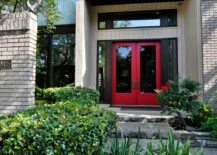 A modern house is calling for some red hues within its exterior and these red french doors are the perfect example of that. 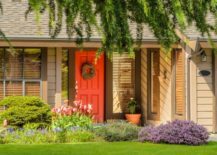 They easily outshine the neutral exterior and turn the entryway into the most crucial element of the exterior. 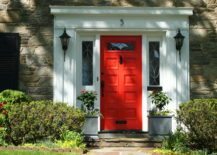 There’s something about a red door that makes it feel timeless; as if the home to which it leads has always been around, just waiting for the passersby to notice and admire it. 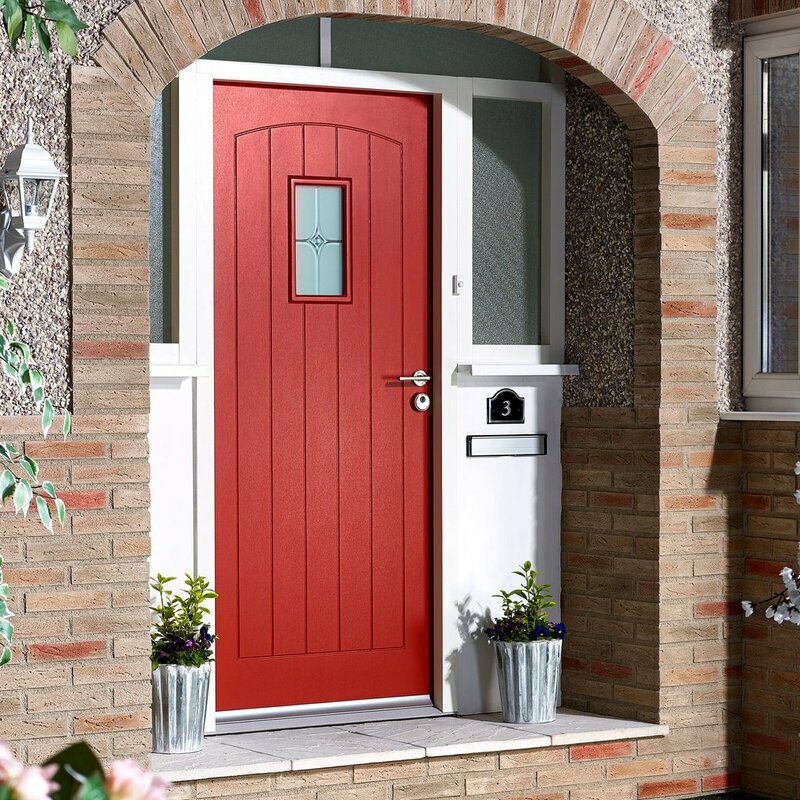 A darker hue of red presents itself as a more serious choice, toning down the liveliness and emphasising the modern design of the front door. 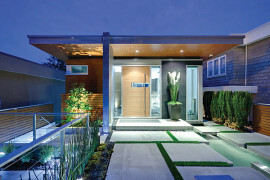 It’s great for a house with a simplistic neutral exterior that yearns for a spark of dark color. 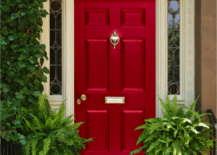 Wide red door with a matching door frame creates a memorable and inspiring entryway, presenting itself as the centerpiece of the entire exterior as the rest of the house pales in comparison to this fiery shade of red. 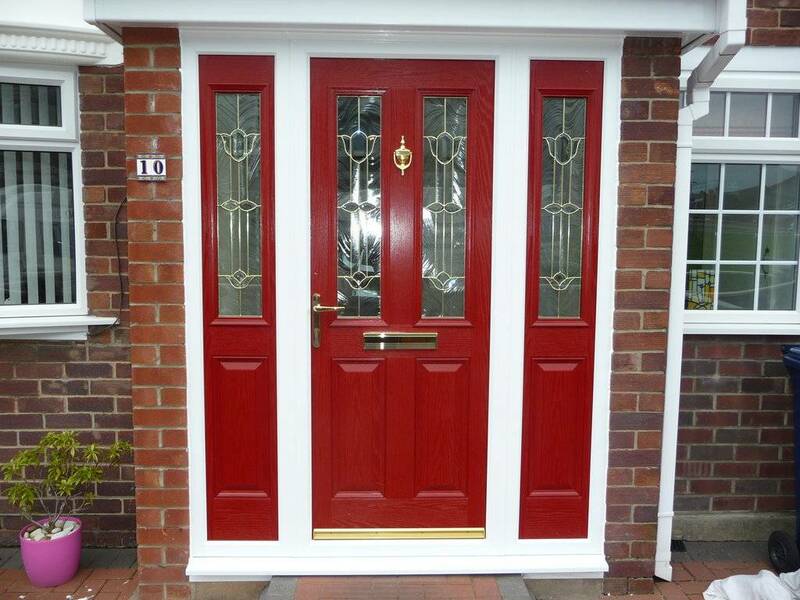 The red door has the power to turn any home into a noticeable feature on the street. 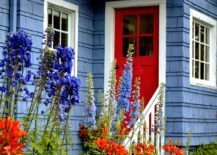 It’s what ends up separating your home from everyone else’s – the bold and vibrant exterior that is quickly the topic of many conversations. 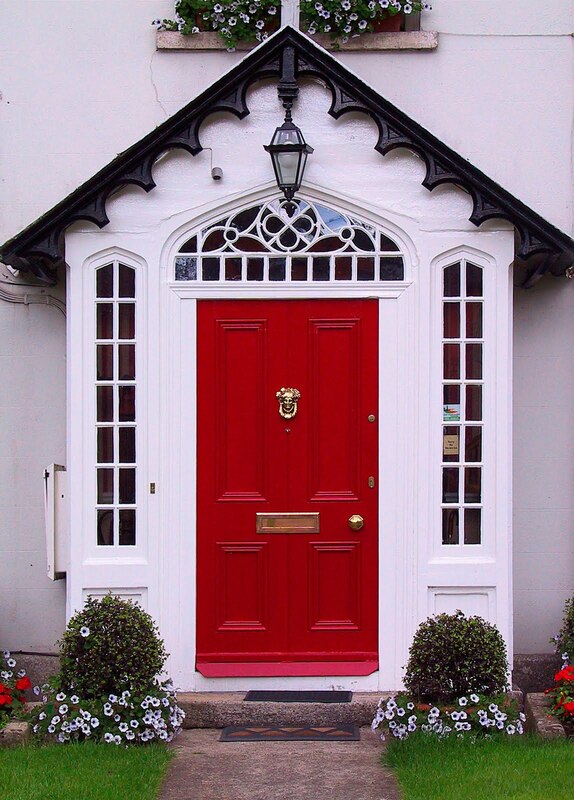 A big white door frame and a vivid red door is a winning combination that creates an unforgettable entryway. It is easily the epitome of charm and glamour, sweeping away all competition with its contrasting style. 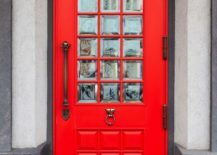 The red door can marvelously fit into an old-fashioned setting, bringing it back to life and giving it a touch of modernism while remaining respectful of the antique exterior. 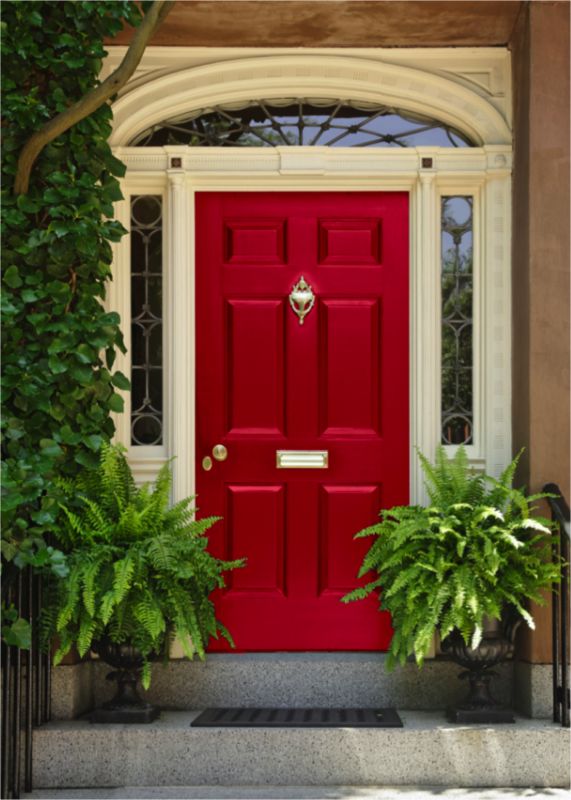 However bold the red may be, it does not sway the beauty of the pastel exterior. 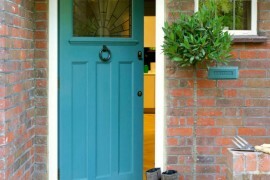 It actually enhances the pastel’s retro look, proving once again that the red door is suitable for a house of any style. 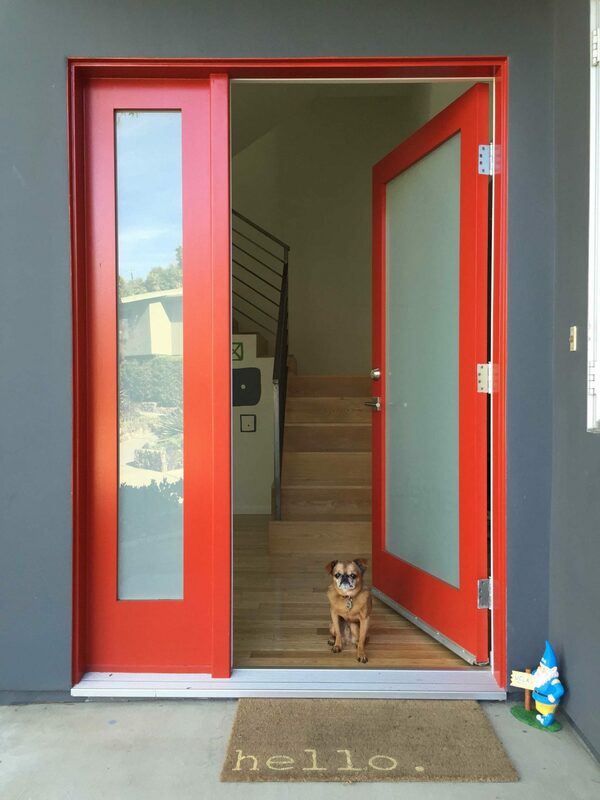 This red door has a unique design and a tough character. 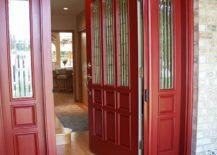 It makes the entryway so captivating it’s almost impossible to look away from the way the vibrant red embraces the rough metallic pieces. 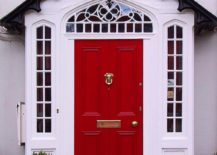 A front door can easily get lost behind the big size of the house, but not in the case of this home with the red front door that stands out against a monochrome door frame and captures your attention before you even have the time to take in the whole house. 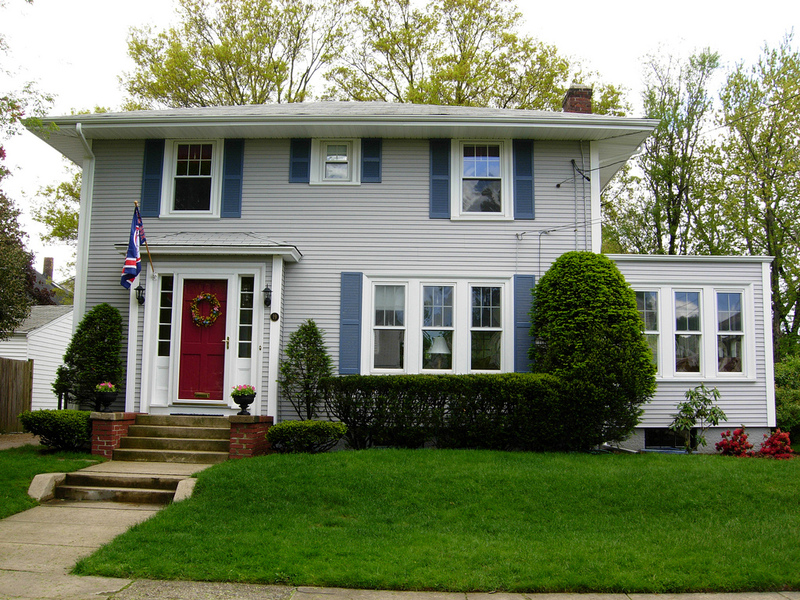 Suburban houses can quickly start looking repetitive and predictable. 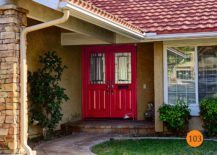 A simple addition of the red door can easily change that, as a house with the red door is undeniably unique and visibly stands out. 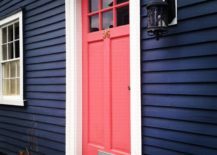 A charming house in the light shade of pink can only be made more captivating by the addition of a red door, winning the title of the cutest entryway. 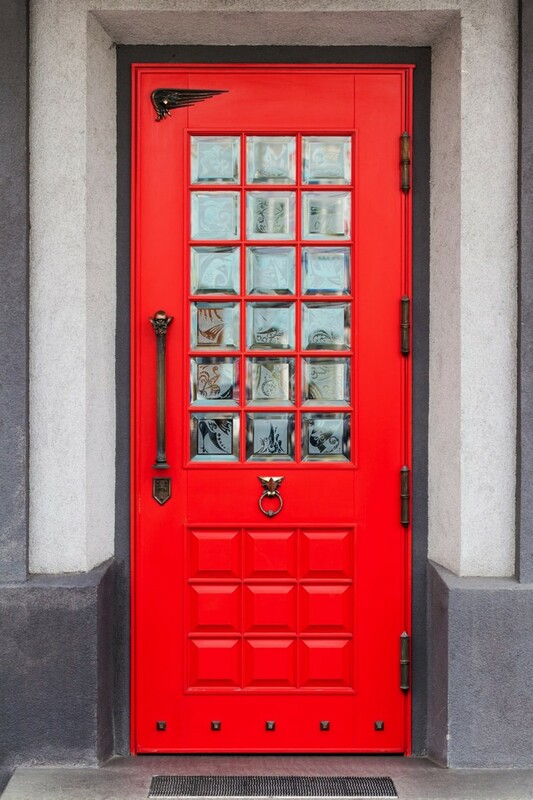 The compelling combination of red and blue proves itself once again in this entryway with a white door frame that only enhances the contrast between the red door and the blue exterior. 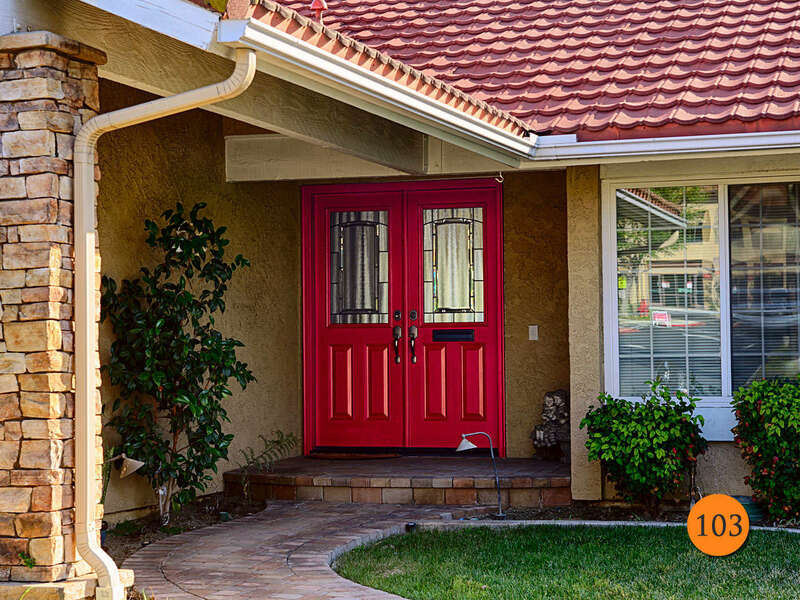 If the exterior of a house is matte and neutral, the red door can beautifully contrast that and challenge the gray color palette with its fiery shade of red! 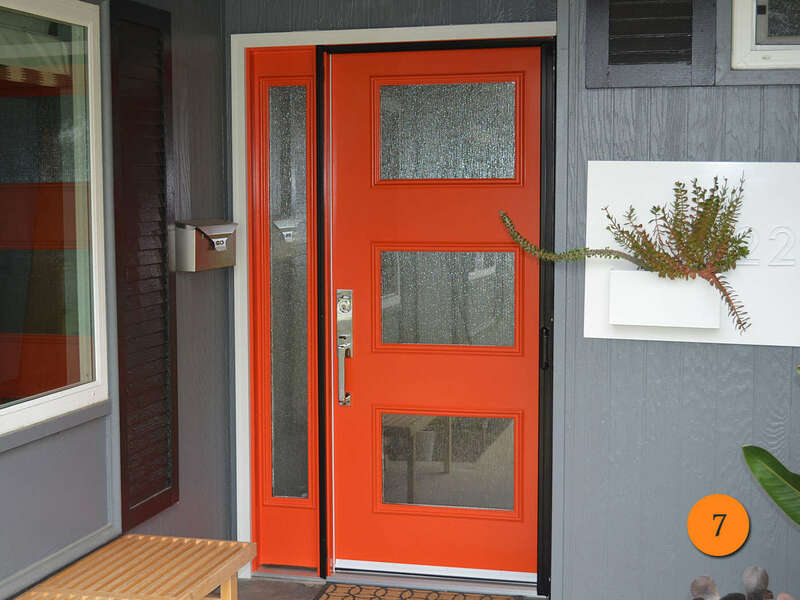 We can hardly imagine a better color choice for a distinctly modern front door! 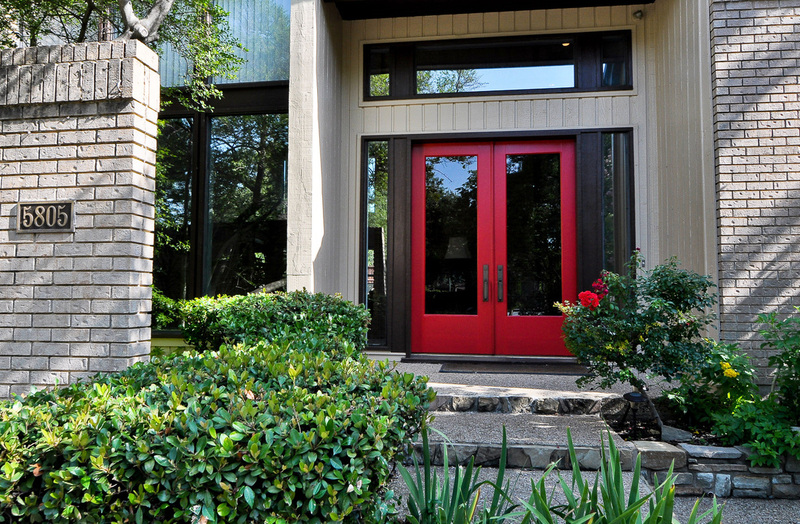 The bright red makes the exterior look alive and powerful, reflecting the beauty of a bold modern interior that likely awaits inside. 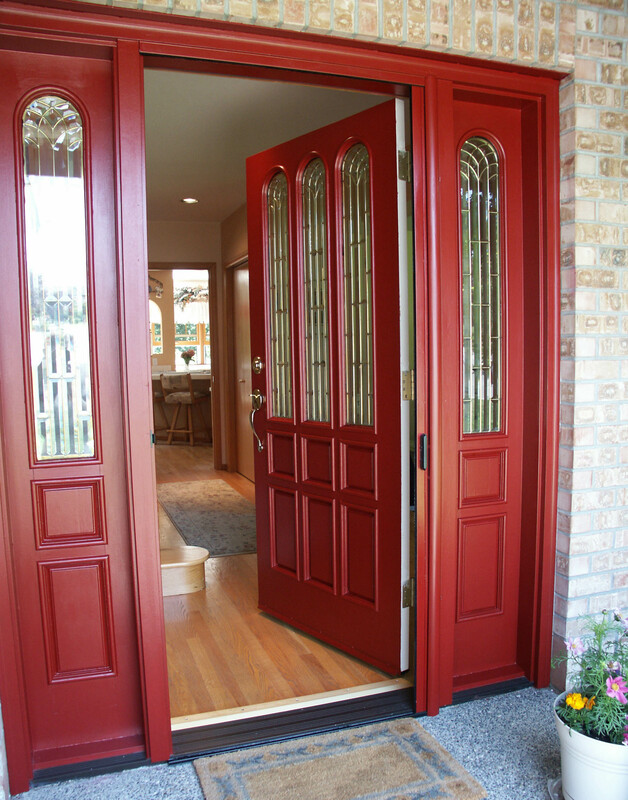 Double red doors represent luxury and spark curiosity about the decor that’s hiding behind them. 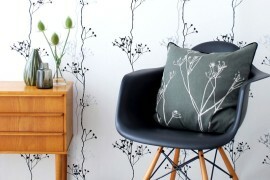 Even when when their placement is rather obscure, they don’t fail to attract all the attention! 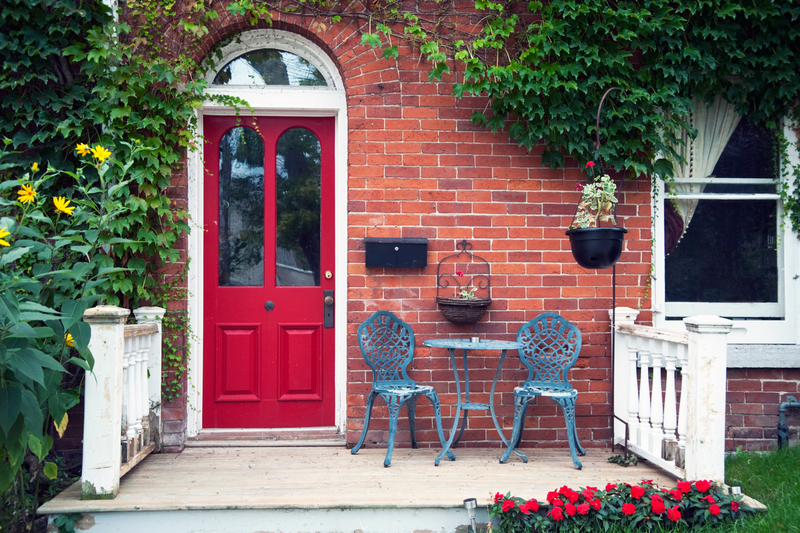 The red door and red brick are a great pairing, creating a balance between a timeless exterior and modern features. 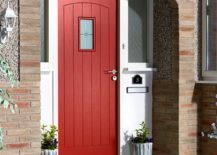 The flaming front door makes the home noticable and the red brick makes it feel familiar! 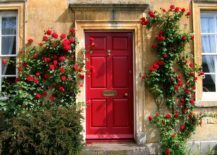 The door frame and the rest of the house’s exterior doesn’t have to be modern or vibrant in order for the red door to stand out – it does that completely on its own, but additional decoration is always a good choice, especially if it comes in the form of blooming red roses! 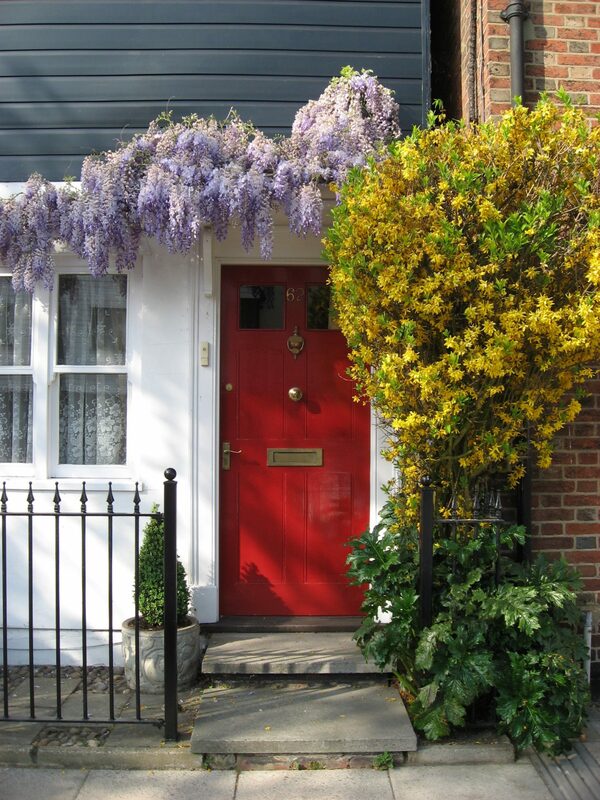 But it’s not just red roses that the red door pairs so wonderfully with – they can also be lilac, yellow or green. 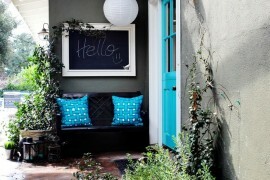 The door will stand out nonetheless and the surrounding florals will be an organic decoration. 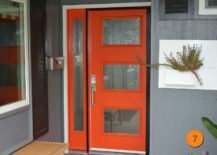 A modern red door brings dynamic to a cold gray exterior and creates an energetic entryway that truly stands out and does justice to the latest colorful trends. 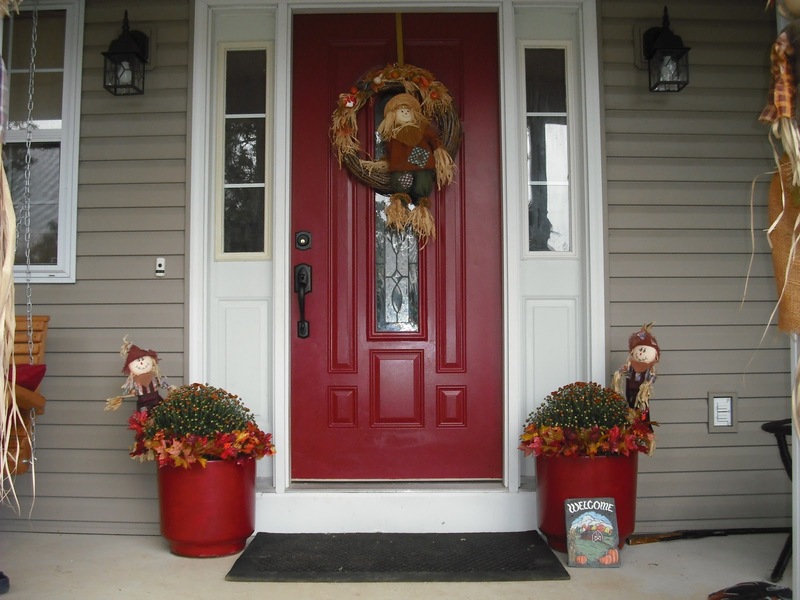 The vibrant red door is a great feature to pair with potted plants and other greenery that will only enhance the glistening shade of red! 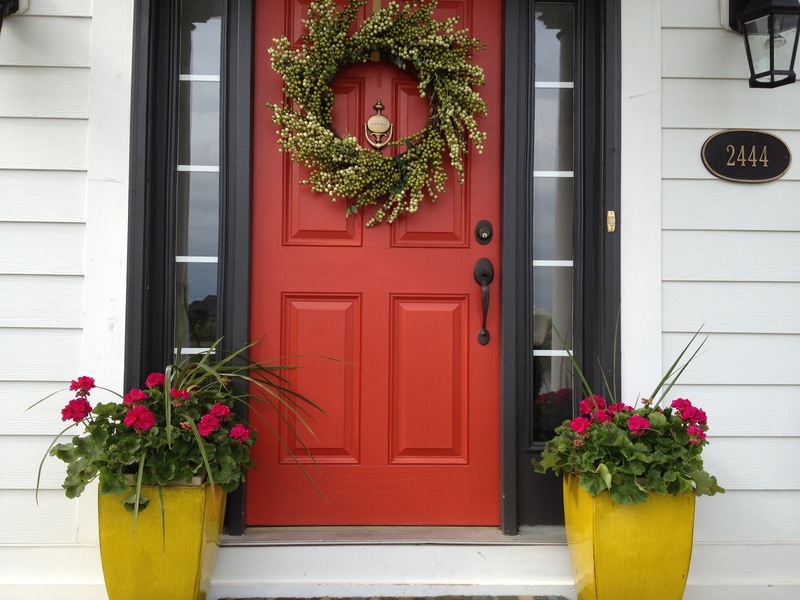 You won’t even need any other decoration, as the natural elements will do all the work and the red door will reap the benefits. 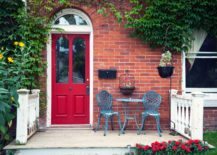 Even a red door can have a simplistic look that honors the classiness of the brick entryway and white door frame it’s surrounded with, but still feels magnetic amidst the two.